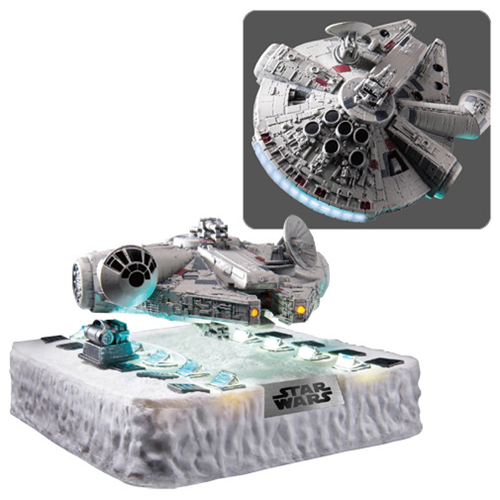 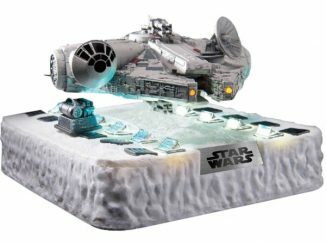 This Star Wars: Episode V – The Empire Strikes Back Millennium Falcon Floating Version Vehicle is the world’s first floating Millennium Falcon! 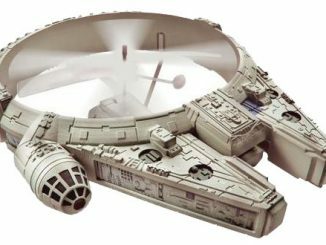 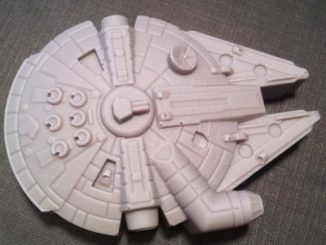 It uses electromagnetic attraction and repulsion to make the Millennium Falcon float on air. 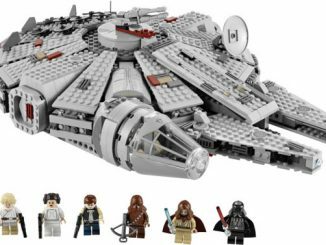 Every detail of the Millennium Falcon was captured, including the armor plating, AG-2G quad laser cannon, and sensor dish. 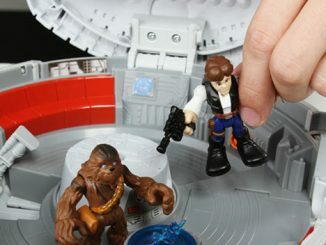 It is painted with high-quality metal coating, showing off the steel-like armor and battle damage. 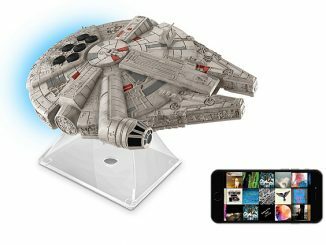 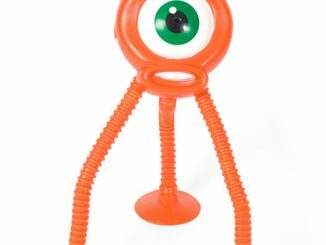 It comes with a magnetic levitation Echo Base too. 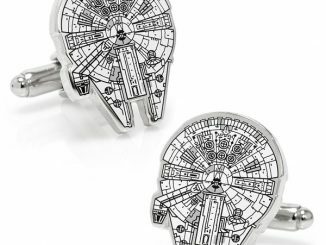 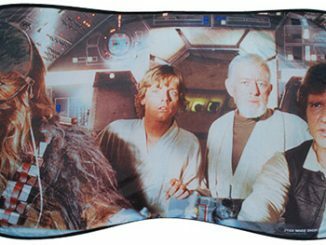 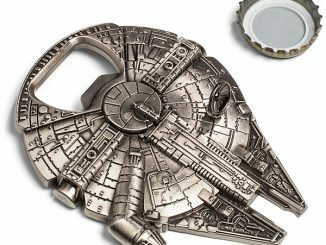 The Millennium Falcon measures 5 1/2-inches long x 5-inches wide x 2 1/4-inches tall. 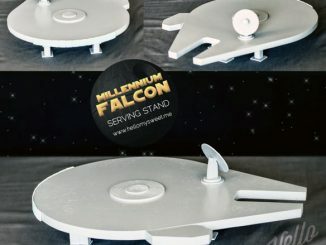 The levitation base measures 6-inches wide x 6-inches long x 2-inches tall.